A great place to stay! Spacious and comfortable. Hope to stay again. Our best meal was at the New Moon. General release for the public for the Cumberland Pencil Museum‘s 2011 workshop dates is not until 1st December 2010. But we’ve got in a whole 7 days earlier to allow you to look over the workshops, savour the different artists that they’ve added into the programme and choose a workshop that interests and inspires you most. Materials for the day’s tuition are included in the cost of each workshop, and will be provided per person. You will be working from a tin of 24 pencils, which will give you the opportunity to experiment with light, tone, and texture of the pencils. A lunch break of 45 minutes will happen around 1pm, where you will have the opportunity to take a complimentary visit around the Museum, visit the Derwent Retail shop selling the full range of Derwent Pencils, or visit the Museum Gallery. Lunch can be purchased additionally from sketchers Coffee Shop. Complimentary tea, coffee and sticky afternoon will be served throughout the day. 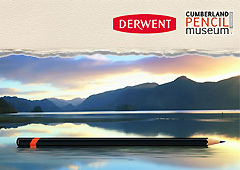 The workshops give detailed tuition for beginners and intermediate levels on the techniques of Derwent Fine Art Pencils. Workshops run between 10.30am – 4.30pm. £40 per person per workshop. A 10% discount is offered for any two or more workshops booked at any one time. Have fun choosing and call 017687 73626 to book yourself a place. See seahorses at the Lakes Aquarium! Some of the most mystical and majestic creatures in the world have joined others of their kind at Lake District visitor attraction, Lakes Aquarium, near Newby Bridge – just 25 minutes’ drive from Kendal. 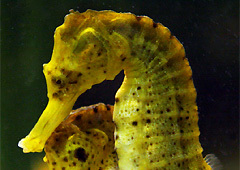 The attraction has just welcomed a group of seahorses that had previously been living at Chester Zoo. Ten seahorses are now swimming, in their very unusual upright manner, alongside the seahorses Lakes Aquarium already had on display. Many younger visitors to the attraction are mesmerised by the seahorses, whilst some parents are surprised to find that the creatures really exist and are not just a fantasy creature like the unicorn. This misconception is partly down to the creature’s unique nature as they are the only species in which the male becomes pregnant. Add to this their long snout, prehensile tail and their swimming stance and they really stand out from other marine life. Lakes Aquarium’s seahorses can be seen lurking around reeds and grasses within their tank, but can be a little shy. This makes them even more interesting to the keen little eyes that want to spot them! Those wishing to know more about seahorses and other marine creatures can take advantage of Lakes Aquarium’s free talks on Morecambe Bay and Rockpools. These are part of a talks programme also focusing on otters, the Lake tunnel and the rainforest. 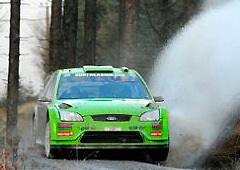 Admission costs £8.95 for an adult day pass, £5.95 for a child aged 3-15 and from £26.95 for a family ticket. Up to 30%t can be saved by buying tickets online. Came here for Kendal Mountain Festival. This fantastic apartment was perfect, just a few minutes walk from all the action. Beautifully and thoughtfully appointed. Will definitely recommend to others. Prince William and Kate Middleton – Duke and Duchess of Kendal? Following the announcement of the engagement of Prince William and Kate Middleton, there are apparently odds of 8/1 that the couple will be known as the Duke and Duchess of Kendal after their marriage. The most likely titles, according to the online bookmaker Paddy Power are the Duke and Duchess of Cambridge (11/8), the Duke and Duchess of Connaught (3/1), Prince and Princess William (7/2) or the Duke and Duchess of Windsor (4/1). What a fabulous apartment! 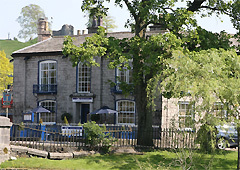 The photos on the internet don’t do it justice – we had a lovely time; enjoyed Kendal and the surrounding countryside; New Moon Restaurant excellent. Will definitely be back, hopefully for longer next time. Many thanks. 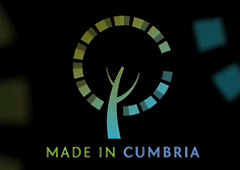 Earlier this year Cumbria Chamber of Commerce took over the Made in Cumbria brand from Cumbria County Council, and a new Made in Cumbria shop has now opened on Stramongate in Kendal. The brand has 250 members and so this will give local businesses the opportunity to sell their produce which can include anything from local foods to jewellery and artwork. The site of the new store will also be where Kendal Tourist Information Centre re-locates to next year. Very well equipped apartment. Loads of space. Fabulous view and setting. Handy for town and easy access for countryside. Thanks for all your help with directions, recommendations, etc. Thoroughly enjoyed the weekend. So, if you feel like a break away at short notice, and would like to combine it with attending the restaurant’s last Pudding Club Menu of the year, then please get in touch!